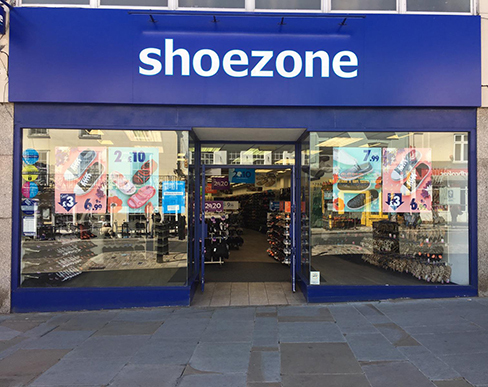 This is the only shoe shop where I can have a real choice of styles to fit my big, wide feet. The assistant was very helpful and polite, with a ready smile. Great shop and staff! I'd seen the shoes I wanted online but foolishly didn't purchase then so I could collect in-store. Luckily, the right shoes and size were in stock. I did have to ask an assistant to check the size for me, which she did with a smile and without hesitation. I went in with a specific shoe in mind, easy to find tried it on and purchased within 10 mins. No queue. The store was ok apart from shoes that had been left on the floor which I did actually trip over because I didnt realise they were there. Great selection of shoes, sandals and boots for my very wide feet. Great to be able to try lots on, as almost everything I liked was available in size 8; this is not usually the case in shoe shops! Lynne my cashier was very helpful,polite,friendly and attractive.